The Instructors of Huntsville Aikido are commited to providing the highest level of technical & practical instruction in an enviroment that is safe and conducive for the students to learn and practice. Sensei Hudson Harris began studying martial arts in 1984 under Dr. Glenn Pack and Ms. Pat Saiz while at the University of Alabama in Tuscaloosa. He earned his Shodan (first degree black belt) in Yoseikan Budo in 1991. In 1994, he trained at the Yoseikan World Headquarters in Shizuoka, Japan and was promoted to Nidan (second degree black belt) by Master Minoru Mochizuki. He earned his Sandan (third degree black belt) in 1998. Sensei Harris was promoted to Yondan (4th degree black belt ) in Sept. 2012 in Yoshinkan Aikido, receiving the title of Renshi. Sensei was promoted to Godan in 2017 and given the title of Shihan-dai. 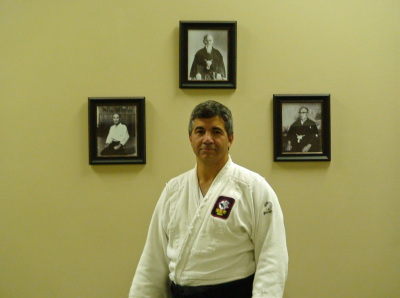 He has served as Chief Instructor at Huntsville Aikido since 1995. 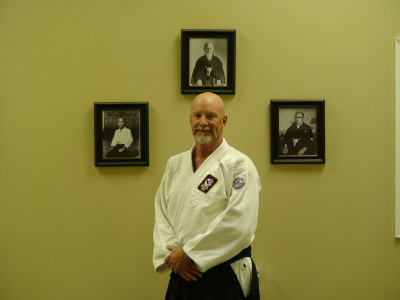 Sensei Mike Morris has studied martial arts since 1971. He studied with Dr. Glenn Pack and Ms. Pat Saiz in Tuscaloosa while at the University of Alabama starting in 1981.He earned his Shodan (first degree black belt) in Yoseikan Budo in 1992. Sensei Morris then earned his Nidan in 1995. He was promoted to Sandan in 2017 and is a licensed Advanced level instructor, Shidoin. Sensei Morris is the founder and Chief Instructor of the children's program at Huntsville Aikido and an assistant instructor of the Adult classes as well. Sensei Ernest Harris began his martial arts training in 1974. Black Belt) in Yoshinkan Aikido in Dec. 2013. with an intermedate level instructors license. Sensei was promoted to Sandan in 2017 and is a licensed Advanced level instructor, Shidoin. Sensei Ernest Harris is the founder of the Aikido Based Combative System and also helps with the teaching duties in both the Adult and children’s classes.